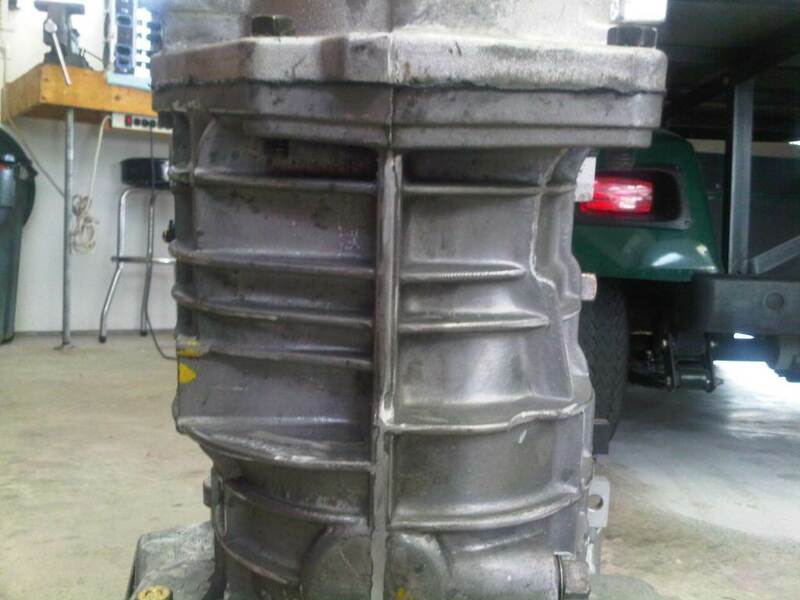 Along with the engine oil leak, there was a small transmission oil leak at the seam of the transmission body and tail shaft housing. 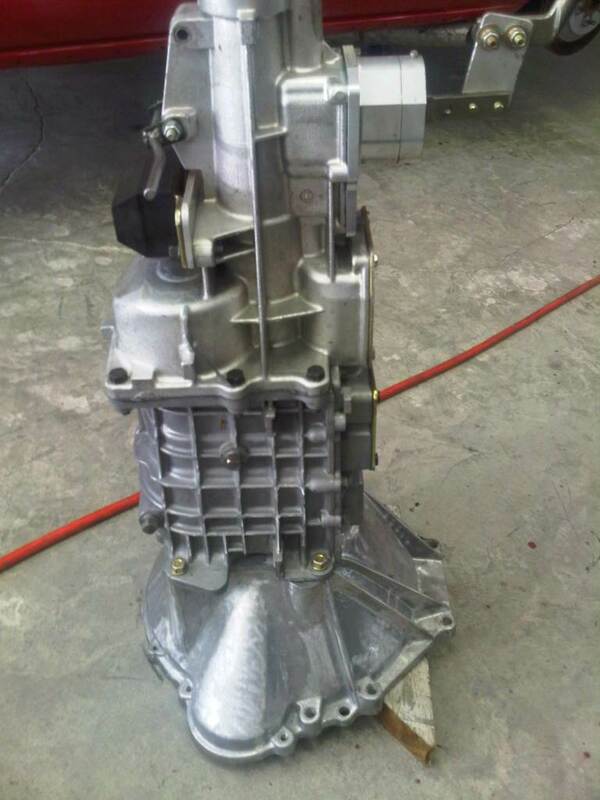 The transmission is a Tremec 3550 and has 3 shift rods, unlike the Tremec T5 transmission that has just one. The process for removing the tailshaft housing is just like that of the T5, you just have 3 roll pins to remove, (one per lever) rather than just one. 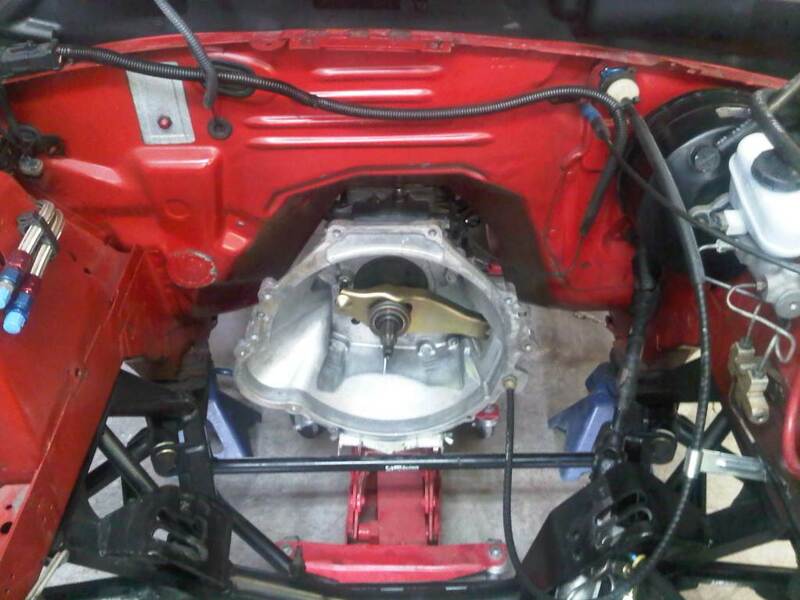 Besides having faulty sealant on the joint between the body and housing, there was a set of six o-rings at the top of the transmission that seal the shift levers that had deteriorated and had to be replaced. The o-rings themselves used a smaller gage rubber (1/16) that most o-rings. I was eventually able to locate them at Hydraulic Supply in Rivera Beach. Once the new o-rings were installed, I used RTV to reseal the tailshaft housing and inspection plates to seal up the transmission. Before I reinstalled the transmission, I wanted to take care of a issue that had been bothering me since I got it. 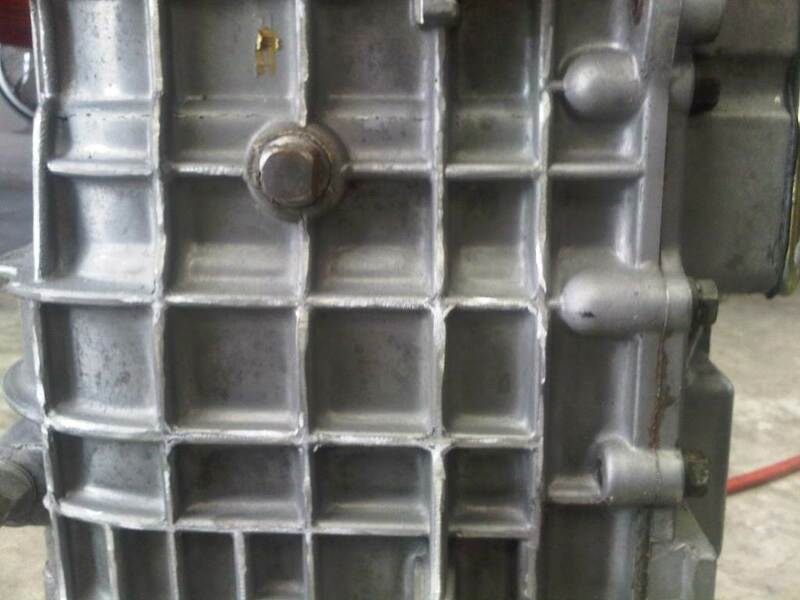 The case of the transmission was covered with casting flash on all the seams along the edges of the reinforcing webbing. To fix the issue, I used an 80-grit disc on the die-grinder and went to town removing all the rough edges. 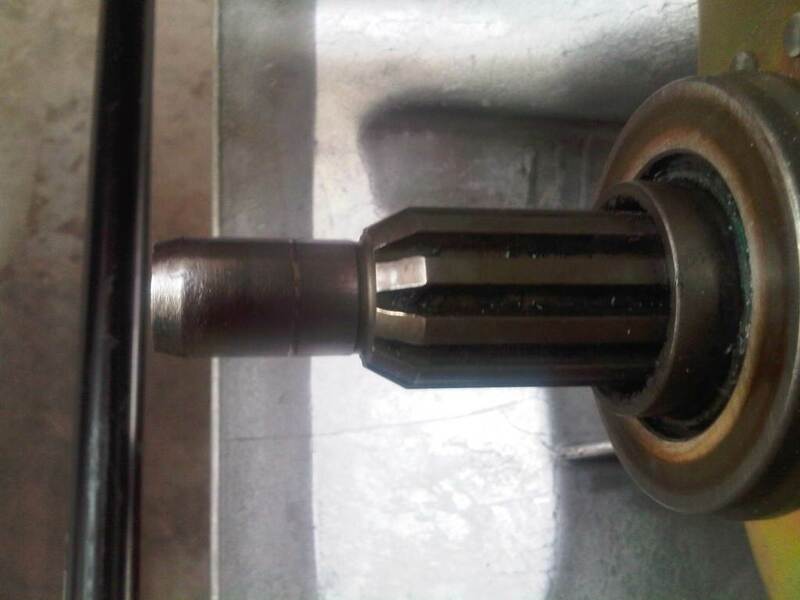 One last issues to address was the condition of the input shaft. 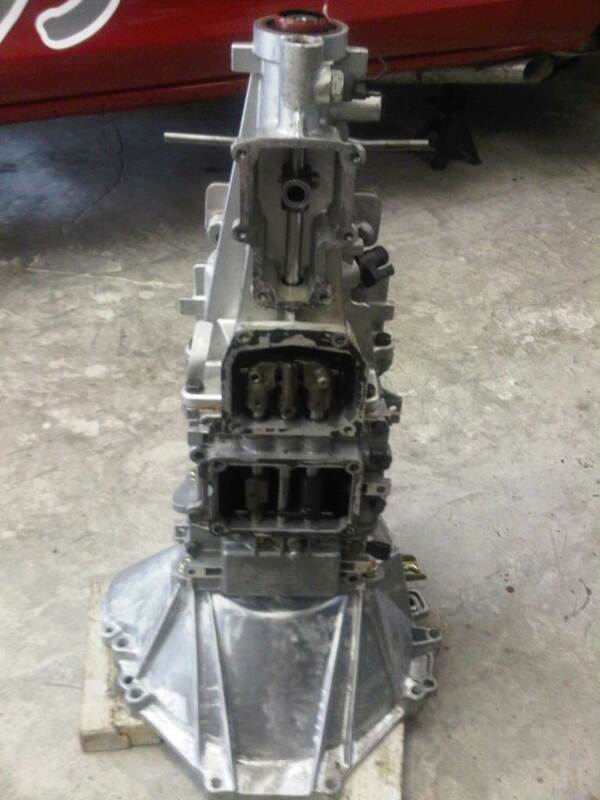 When the last motor was damaged at Sebring, the transmission was brand-new. 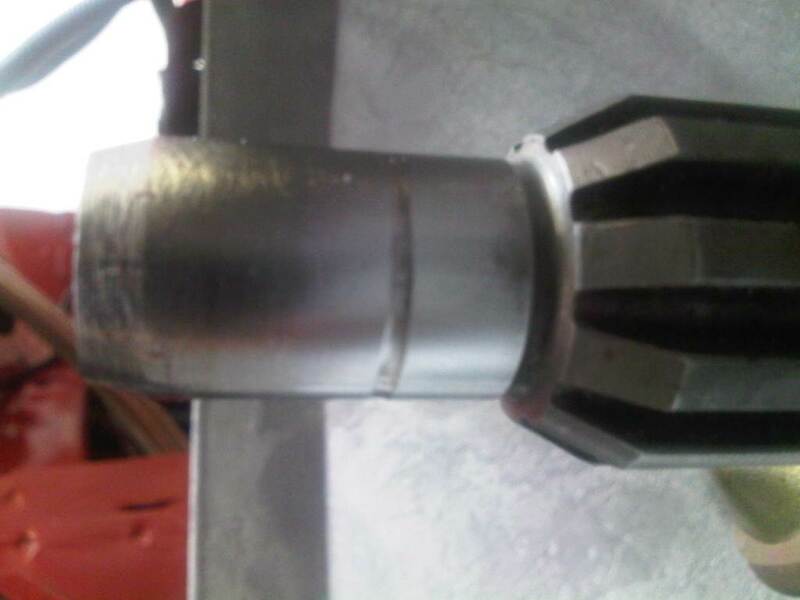 Buddy reported that the rollers in the pilot bearing in the crankshaft were completely destroyed. When I installed the new motor, I neglected to inspect the input shaft for any damage. However, the new pilot bearing that was installed looks great, still brand-new. But with the transmission out of the car, now is a good time to take a look at the input shaft. 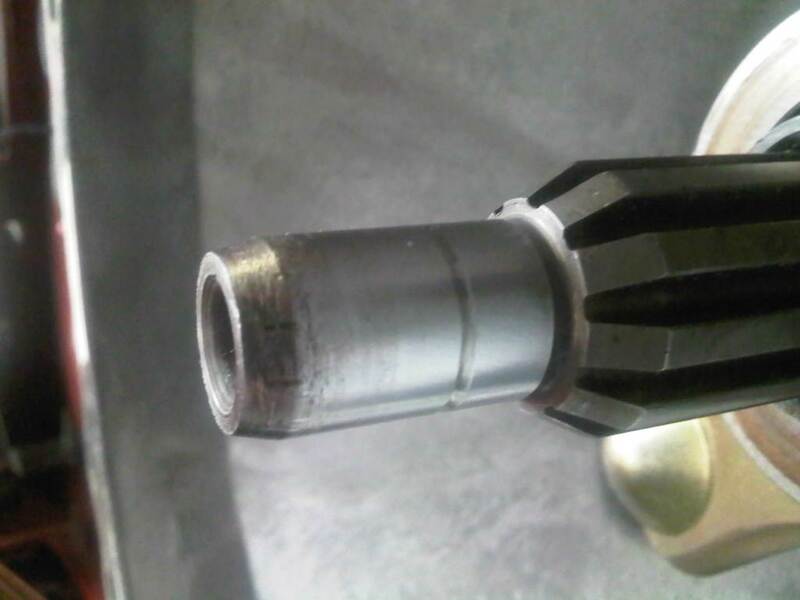 I found that the input shaft did sustain some damage, as there is a small groove around the diameter of the shaft. I sent the pictures to Buddy and he thinks that its not a major issue and should still work just fine. Now we just need to put the motor back in. Last Modified: April 20th, 2011.